On The Search For Web Hosting? I recently stayed at Caesars Palace for a convention for four days. Rooms - The rooms, while roomy and nice, give you the feeling of cheap. 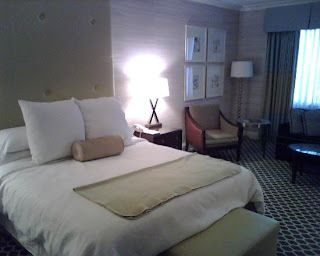 I stayed in the Palace Tower and the room was definitely roomy with a king bed, sofa and desk. The room had a plasma TV and the bathroom was bigger then the room. The AC did not work very well, I could never get the room to cool and I heard many people say the same thing. The shower pressure is so bad you have to jog around to get wet. The tub with jacquizzi is very nice and works well. The room, while it looked recently renovated was cheap, the sheets were cheep, the furniture was cheap even the in room safe is too small to put anything into. There is no coffee maker in the room either. 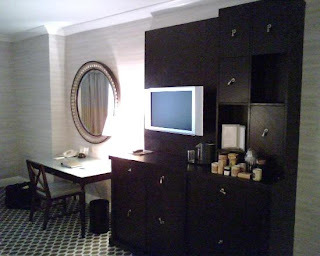 I have definitely stayed at nicer rooms in Las Vegas at Mirage and Bellagio. The price for the rooms is not cheap so you should expect better. Service - Absolutely horrible. You wait in line for EVERYTHING down to coffee in the morning. Everything is under staffed and all the staff act like they have done you a favor for serving you. The prices are ridiculous bordering on absurd down to the $7 for coffee. It takes an hour to check in, no one helps you with your bags and the line for cabs goes on forever, but of course Las Vegas is more like Disney World now then a gambling mecca so it fits with the theme.